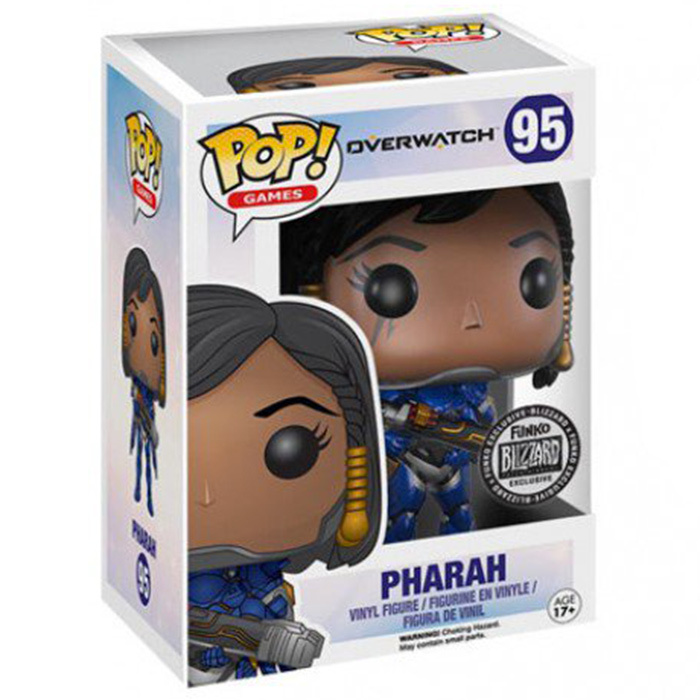 Are you interested in the Pharah pop (Overwatch) Funko Pop figure ? 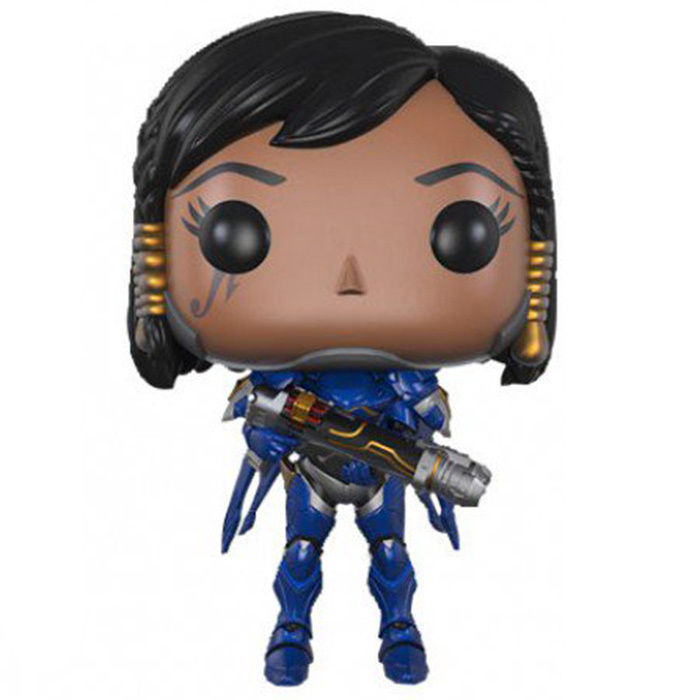 Pharah is one of the multiple playable characters in the famous first person shooter game from Blizzard studios: Overwatch. The game takes place in the future ten years after Overwatch, an elite warrior team, ended a war between robots and humans. 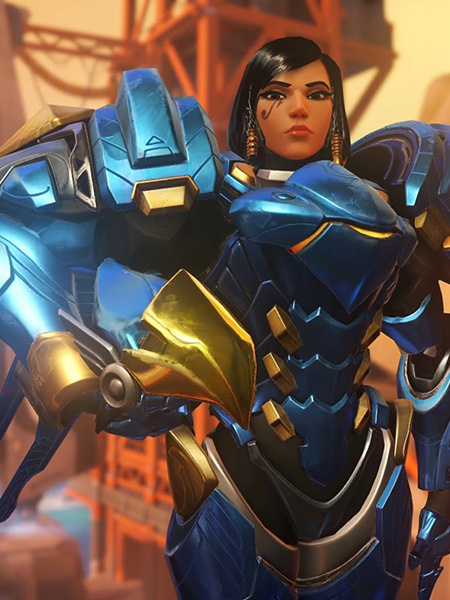 Pharah is Egyptian and her dream has always been to join Overwatch. But once she was old enough to do it, Overwatch had already been dissolved. So she decided to join the Egyptian army and was remarked for her good work. After that, she was proposed a job at a private security agency dealing with the security of a research site about artificial intelligence in Gizah. But Pharaoh never forgot her dream of joining Overwatch. Her specialty is attack, she has a very impressive set of weapons and a strong protective armor. 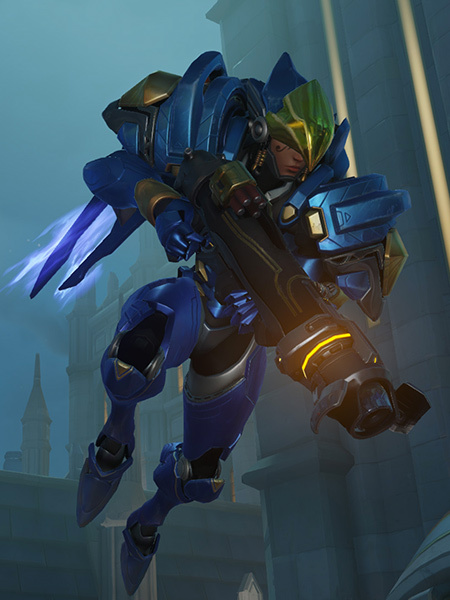 Like we can see in the game, Pharah always wears an impressive blue metallic armor that helps her protect herself from any attack. You can see the very precise details of this armor, especially around the shoulders. In her hands she holds her famous falcon rocket launcher. As for the head of the figure, you can see the brown color of her skin as well as the tiny symbol under her eye that remind us of her Egyptian origin. Her had is black and straight with two braids tied with golden rope on each side of her face.